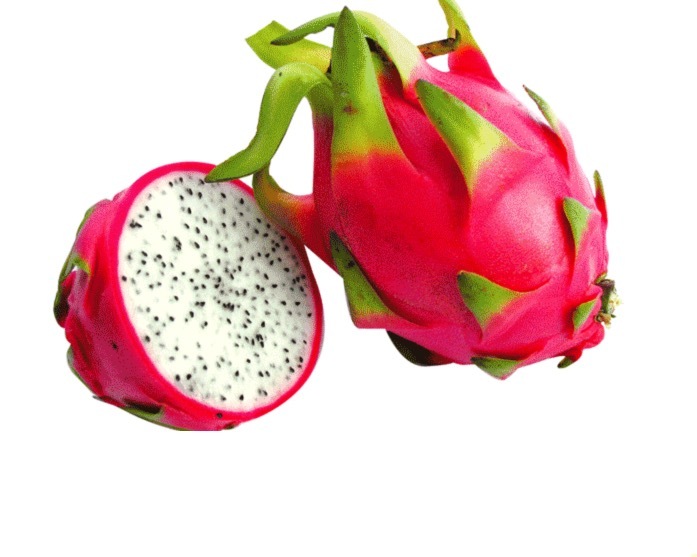 Dragon fruits can vary in shape, size and color. They are typically oval to oblong and average 10 centimeters in length. Their pink to magenta exterior has scale-like succulent leaves that are tipped in green, giving them the appearance of an exotic oriental lantern. The inner flesh ranges from white to deep pink or purple and is dotted with tiny black seeds. The spongy pulp has a juicy yet firm texture like the cross between a melon and a pear. The flavor is subtly sweet with notes of star fruit, kiwi, melon and just a hint of salinity and a thirst quenching finish.